Preferred Group - Edmonton Real Estate - Oil price drops finally! Great news, $90-100/barrel oil is best for world and Canadian economy. CALGARY — Oil’s big surge has come to an end, as weak economic data and waning concern that Middle East unrest justifies a large risk premium shaved US$9.44 off prices Thursday, sending oil below US$100 a barrel in New York in the biggest fall in two years. Canadian stocks were swept up in the carnage. Energy producers, which had benefited from Middle East woes as investors rushed into oil from secure places, fell sharply. Suncor Energy Inc. was down 5.2% to close at $39.60, Canadian Natural Resources Ltd. lost 2.6% to close at $41.24, Imperial Oil Ltd. lost almost 3% to close at $48.38. Crude oil for June delivery closed at US$99.80 in New York, the fourth day of retreat and the third biggest daily drop on record. 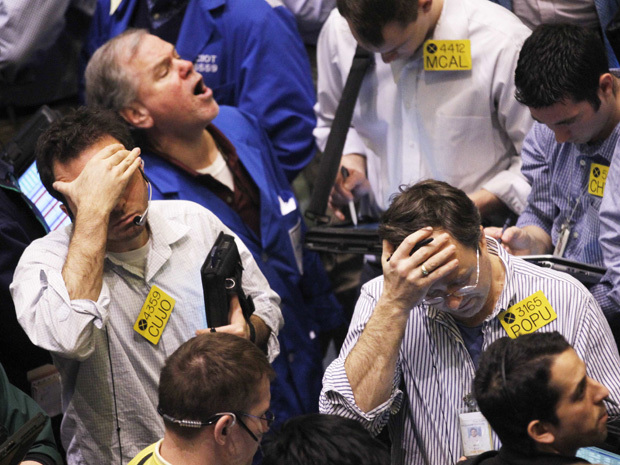 Investors backed away from commodities all week as they considered the impact of the death of Osama bin Laden, monetary policy in major economies and the impact of higher fuel and commodity costs on consumer nations — all events originating outside Canada’s borders. Meanwhile, a jump in U.S. unemployment is re-enforcing concerns that the U.S. economy is struggling. The U.S. Labor Department said the number of Americans filing for jobless aid rose to an eight-month high last week, or by 43,000 to 474,000. Economists had expected claims to fall. Also depressing oil is the U.S. dollar, which rose more than 1% against a basket of currencies after the European Central Bank signaled it was unlikely to raise rates next month. Dollar weakness and loose U.S. monetary policy have helped boost many commodities priced in the greenback to multi-year peaks in recent months. “The longer-term bull cycle is still in place, but this correction may have a life span of several months, as weaker economic data is fueling this correction to a large part,” said Sterling Smith, senior analyst for Country Hedging Inc. in Minnesota. Much like oil prices shot up earlier in the year in reaction to revolts in Middle East and Africa without regard for fundamentals showing the market was well-supplied, the rapid pullback is ignoring the fact that Middle East unrest is spreading. Robert Mark, director and equity analyst at Toronto-based investment management firm MacDougall, MacDougall, MacTier, said a risk premium is justified, but the market seems to be getting accustomed to political instability. Meanwhile, world supplies remain plentiful despite the loss of Libya’s 1.5-million barrels a day of production. The upside of oil’s retreat is that consumers are better able to absorb prices below US$100 a barrel. When prices increase above US$100, demand becomes inelastic, Mr. Mark said.